CDC are proud to be contributing to improved water quality following the announcement from Greater Wellington Regional Council that Ruamahanga has been recognised nationally for its improved water quality. The recognition of Ruamahanga’s improved water quality was announced at the New Zealand River Awards on the 13th November. Carterton District Council were thrilled to hear this news after significant efforts to improve the quality of Mangatārere Stream, which is part of the Ruamahanga Whaitua area. Infrastructure Manager, Dave Gittings says efforts to increase wastewater discharges to land rather to stream are having a positive impact for our waterways. Please see below the original media statement from Greater Wellington Regional Council. 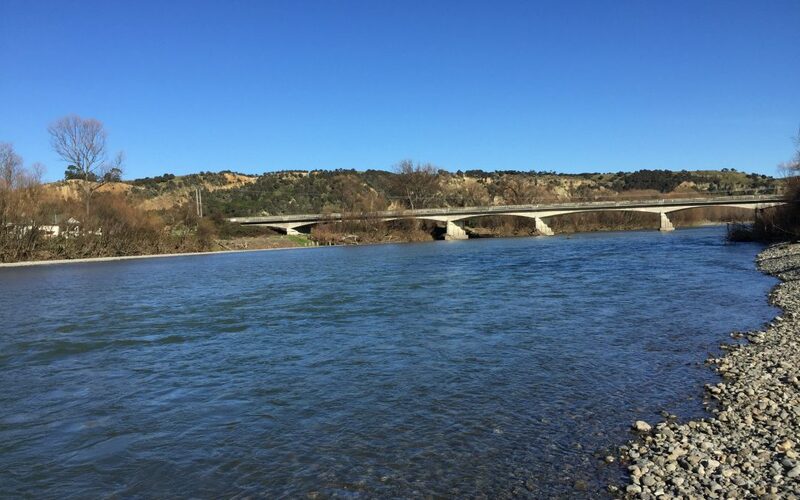 Monitoring at Gladstone Bridge (midway down the river) has shown a reduction in dissolved reactive phosphorus (DRP) of 12.8%pa over the past decade, making it the most improved river in the Greater Wellington Regional Council area and the third most improved nationally. DRP, which is an essential nutrient for plant and algae growth, is a key indicator of water quality. The concentration of DRP provides an indication of a waterbody’s ability to support nuisance algal or plant growths (algal blooms). High concentrations lead to excessive plant growth which smothers rivers and streams and undermines aquatic habitat. “We’re delighted to receive this award acknowledging that the Ruamahanga has the third most improved water quality in NZ” says Cr Sue Kedgley, chair of Greater Wellington Regional Council’s Environment Committee. “But we acknowledge there’s a long way to go to clean up this once pristine River and we are only at the start of our journey. Extensive consultation that has taken place through the Ruamahanga Whiatua Committee process clearly shows that the community wants better, and Greater Wellington is responding to its demands. Its Whaitua Implementation Plan provides a comprehensive approach to introducing a sustainable improvement in water quality throughout Wairarapa. It will become the platform for further progress in the years ahead. Greater Wellington is extensively involved in programmes and services aimed at protecting and enhancing water quality in the Ruamahanga catchment. They include land management advisory services, assistance for erosion control and riparian planting, and monitoring and enforcement of rules restricting stock access to waterways.